What an enjoyable game with a fantastic premise. A ninja master sends out his (at the time) strongest student to combat the forces of evil. That student fails to return. 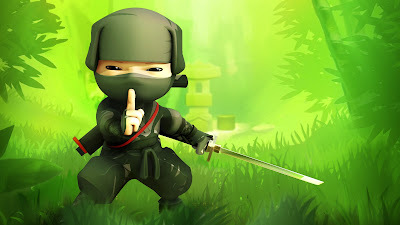 The ninja master then sends out his second strongest student to look for the first student. The second student fails to return. Then a third student is sent, with similar results. Soon, the ninja master realises he must send his worst two students (of which one has the potential to be the strongest student yet --but they are students who are not yet ready or properly trained) to look for the others. This is a great premise for a game or movie. The storyline demonstrates that a team is only as strong as its weakest links; and it also shows that a team - quite obviously perhaps - functions better as a collective unit, rather than individual units (ie. sending off the ninjas one by one was a bad idea - using each of the ninjas' special abilities was the key here). I quite like movies or plotlines where there is a a chain of command or a hierarchy in place. What happens when your strongest or second strongest is temporarily missing or gone? Will the others step up? Can the others make the right decisions when faced with adversity? 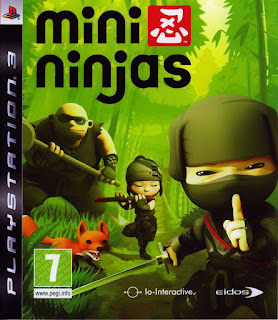 The short films offered in this game, each a brief biopic of each ninja's unique traits and special abilities, are also fantastic and ought be applauded for their imagination and creativity. 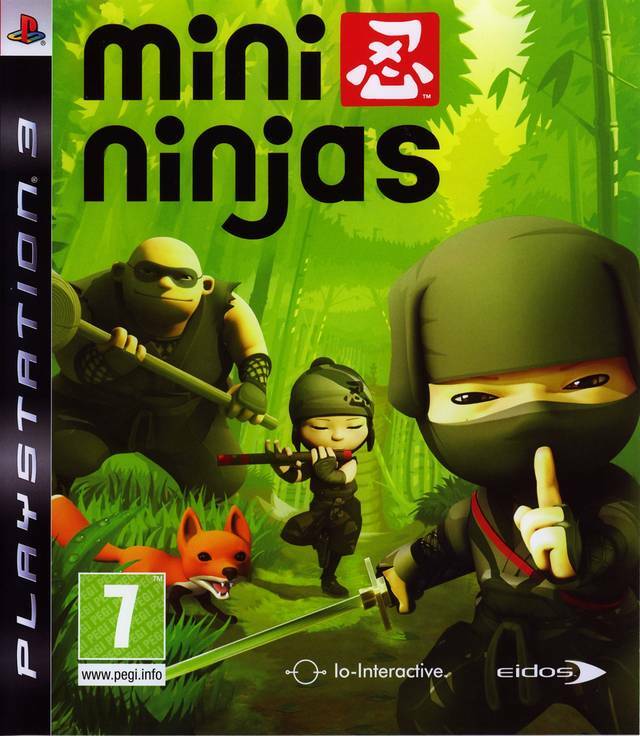 I thoroughly enjoyed Mini Ninjas - although its downsides are that movement in this game is quite slow and the enemies are rather repetitive (though the level designs do make up for this to a certain extent - though they too can be a little repetitive in some respects). The game also felt far too short. A score of 7.5 to 8 out of 10 for me.